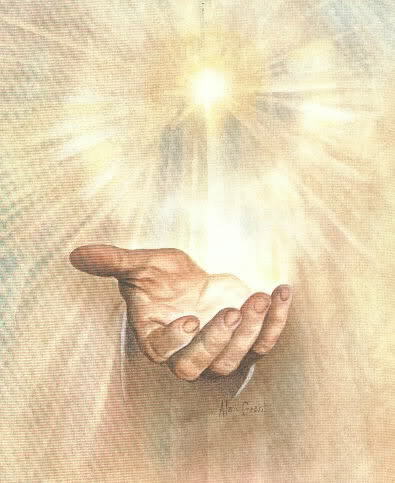 Your future is in my hands, says the LORD. I have YOU in the palm of MY hands. I have no problems and nothing takes Me by surprise. I Am never late and there is nothing that causes Me to fear. I have given you options. Fear Me and not the future. For I Am always in control. I Am always Sovereign. I Am KING OF KINGS and LORD of LORDS. Do not focus on what you hear or see or know. I Am the ALL KNOWING, ever present GOD that created all things and everything is subject to ME. I Am with you and on your side. TRUST IN ME! Have I ever failed you? I have kept you all the days of your life and I Am your keeper now. I will be your keeper tomorrow and forever as you entrust your care to ME, says the LORD. Have faith in ME! Trust that I Am unlimited in space and time. I know what to do! I Am your help! I Am your protector. I Am your source all the time. I cannot fail and have not failed and will not fail you. I have not forsaken you and you can depend upon ME. Be determined to believe and trust in Me and MY WORD. For you will be safe and secure in Me as you entrust the future that is unknown to you to Me who knows everything. I will protect you, provision you, help you, secure you, defend you and keep you safe as you entrust all of your care to Me continually and stay steadfast in your faith in Me and My infallible Word, says the LORD.